Virgin Media confirms it will release a new 4K set-top box to rival Sky Q | What Hi-Fi? The cable TV company says it will update its ageing TiVo HD set-top box this year, and is developing a 4K version to take on Sky Q. The recent launch of Sky Q and BT Vision's Ultra HD YouView set-top box has left the cable TV operator Virgin Media trailing in its wake. Given that it was 2011 when we first reviewed the original Virgin TiVo box, many would argue that an upgrade is long overdue. 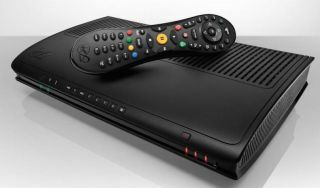 Now Virgin Media has confirmed a 4K set-top box is in development and due for release in 2016. A spokesman told What Hi-Fi? : “There will be a new set-top box coming later this year, and it will support Ultra High Definition video." It is expected to be based on the TiVo platform like the current box. "Before that we will be updating the existing TiVo set-top box to make its menus slicker and more picture-based,” says Virgin. It is also believed the company is working on an upgrade to its existing series link feature that will include on-demand programmes from Netflix and other sources. Sky Q launched earlier this year, stealing a significant march on its cable TV rival by offering the option of 4K Ultra High Definition (although 4K broadcasts won't begin until late summer). BT is already broadcasting 4K content on its BT Sport Ultra HD channel. MORE: BT Sport Ultra HD - what is it? And how can you get it? The specification of the flagship Sky Q Silver box is impressive: it has 2TB of storage, a whopping 12 tuners and two HDMI, two USB and one optical audio output. All those extra tuners are in place in order to deliver Sky’s “fluid viewing” experience. With the 12 tuners you can simultaneously watch TV, get picture-in-picture preview of a second channel, record four other channels, stream to two Q Mini boxes and to two tablets. That makes the TiVo box, with its three tuners and standard high definition, look rather miserly in comparison. The new Virgin 4K box is expected to offer a similar ability to Sky Q, allowing users to start watching a programme on a TV in one room, and then continue watching on a smartphone or tablet elsewhere.